As Wednesday 29th August 2018 is quickly approaching, tickets are selling fast for 5 Seconds of Summer. 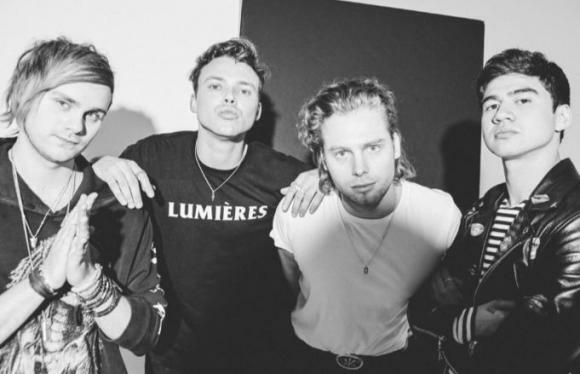 5 Seconds of Summer is coming live to Mohegan Sun Arena – donʼt wait too long to tell your friends and grab tickets ready for the big night! Click the Buy Tickets button above now to get your tickets today. Internet sensations and viral or social media superstars will either make it or break it. One band who definitely made it with flying colors is 5 Seconds of Summer (commonly abbreviated as 5SOS) . Four college friends, namely Luke Hemmings – lead vocals, rhythm guitar. Michael Clifford – guitar, live keyboard, vocals, Calum Hood – bass guitar, vocals, and Ashton Irwin – drums, keyboard, vocals, were just a bunch of dreamers who began posting their cover versions of songs on YouTube. Soon enough, they were attracting a growing number of viewers that evolved into a horde of fans. Their videos also caught the eye of major label Sony ATV Music Publishing. However all hell broke lose, so to speak, when One Direction member Louis Tomlinson posted the link to their YouTube video of their song "Gotta Get Out”; then fellow 1D member Niall Horan also tweeted the link to the video clip "Out of My Limit”. In 2013, 5SOS shared the stage with One Direction as opening act. Their following wasn’t just a shared set of fans from One Direction. 5SOS was quickly building and expanding their very own fandom. They are a relatively new band, yet they are starting to get a lion’s share on chart positions. Their biggest hits include "She Looks So Perfect," "Don't Stop," "Amnesia," "Good Girls," "What I Like About You," and "She's Kinda Hot."